Dr. Marvin Rubenstein, Ph.D. is Co-Director of the Basic Science Urology Research Laboratory for the Cook County Health and Hospitals System. In addition, Dr. Marvin Rubenstein is Director of Research and Chairman of the Division of Cellular Biology for the Hektoen Institute of Medicine and Associate Professor in the Department of Biochemistry at Rush Medical College. 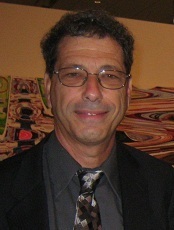 Dr. Marvin Rubenstein received his Bachelor of Science degree and his Ph.D. in microbiology from the University of Illinois at Chicago. Dr. Rubenstein is an outstanding scientist and is committed to Urology Resident Basic Science education. Dr. Marvin Rubenstein research interest includes the following: 1) The development of antisense oligonucleotides for the suppression of specific genes involved in progression of hormone insensitive prostate tumors, 2) the immuno- and histologic evaluation of tumors markers following therapeutic manipulations in various animal model and 3) the study of calcium metabolism, channels and apoptosis in tumor cells.